In Oman, there is a fundamental part of life that has turned into something incredible. Camels, which used to be used only for traditional farm work, travelling, and desert life is now part of a huge ring of camel racers. Nowadays, camel races bring in a large following of people, a whole lot of money for people who bet on the races, and heaps of fun. The camels are fed fiber rich diets that are extremely healthy for them. These specially bred camels get the best of everything. The freshest water, the healthiest diet, and the very best in emotional ties with their owners. These camels are like thoroughbred horses and contrary to popular belief, they enjoy the racing lifestyle. These special camels aren’t bred for their meat, milk, or to be a work load animal, they are strictly for racing. The extremely rich shaikhs of the region own the camels and make sure they are taken care of through every aspect of life. Right from their birth, they are raised on nothing but the best of everything. Prices for these camels range from RO60,000 to RO100,000 each. 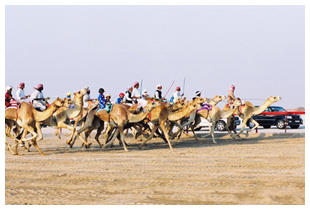 There is also an official racetrack called the Al Abiadh camel track that hosts the racing venues. At a total length of 8 kilometers, this round track is the only thing that takes prominence on this featureless plain. Dressed in traditional attire, the people who run the races hold their culture very dear. Huge crowds of men, women, and children attend the races and give their support. The races are never promoted in publications, so you have to ask around to find out where the other races are held. Camels can actually run pretty fast! You’d be surprised by their abilities. One man did very good in racing camels, winning a total of 15 cars at the major racing circuits. A man named Mubarak is wilayat’s top camel trainer. Not many people can come close to his abilities in raising top thoroughbred camels. Training season is June through October, and this is the time you can find Mubarak tending to his count of over 100 camels. At about 2 years old, the camels are just at the beginning stages of being trained. From the very start, these camels are treated like kings. Their wounds get treated with expensive ointments, and they are allowed to run as fast as they want. Scrubbed and shampooed twice a week with some of the most natural and expensive soaps, these camels are even taken care of with blankets and sheets at bed time. It’s honey, dates, fresh cow milk, and ghee for these camels. Mubarak and his team, as well as the other camel tenders in the area, spare no expense to make sure that their camels are subjected to only the best the world has to offer. Even the water is kept extremely fresh. Every few hours there is a new delivery of water for the camels with only the purest they can find. Because the animals require such a large amount of the finest food, it is also good for the business side of things. These animals keep a steady supply of feed coming in on a daily basis. 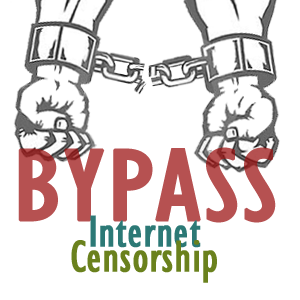 Oman blocks many websites and Skype, find out more here!